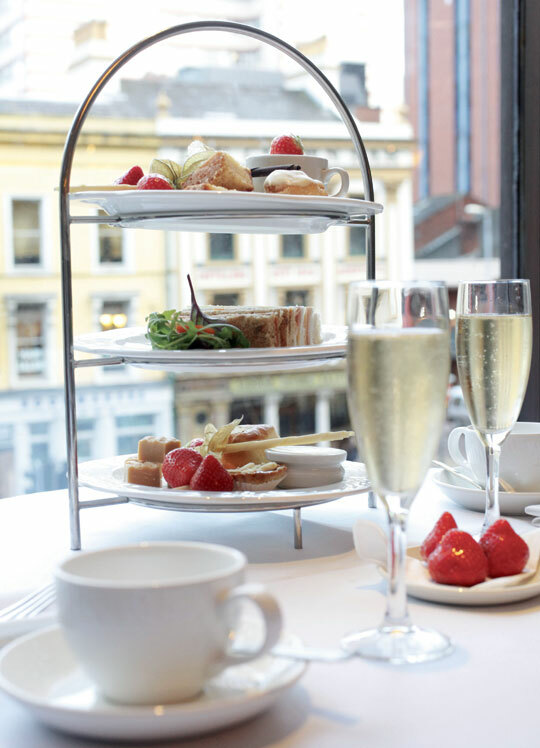 We had the privilege of enjoying afternoon tea at the Europa hotel set in the heart of Belfast, Northern Ireland and the flagship hotel for the Hastings Group’s luxury hotels. 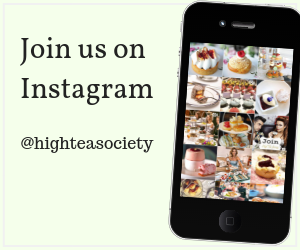 High Tea Society had the privilege of enjoying afternoon tea at the Europa hotel set in the heart of Belfast, Northern Ireland and the flagship hotel for the Hastings Group’s luxury hotels. We were to receive amazing service, beautiful food and an afternoon that we were reluctant to finish as we were so happy and comfortable. Until two years ago, the Europa had the dubious honour of being the world’s most bombed hotel, however, over the past 40 years it has continued to rise like a Phoenix from the flames many times. The hotel has received more than its fair share of attention in the history books, hosting many journalists and foreign dignitaries including the Clintons in the 1990s (after whom a suite is named). 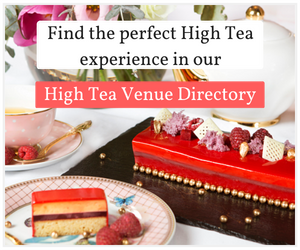 We were there to try their afternoon tea though and were pleasantly surprised at the sheer level of detail and planning that has gone into the creation of their afternoon tea service. 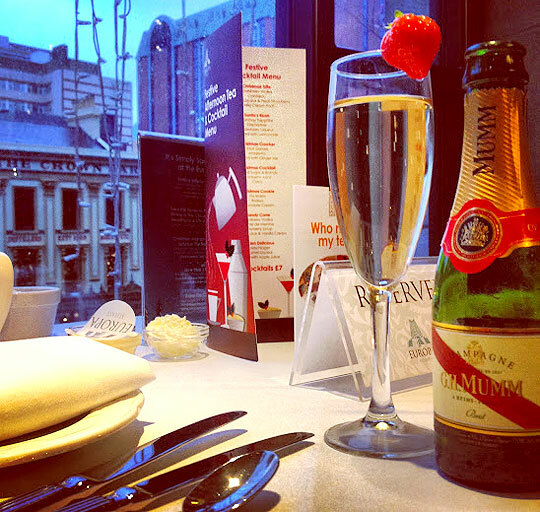 As with other Hastings Group hotels, afternoon tea began with Mumm champagne which we drank while discussing how impressed we were by Belfast and what an easy city it is to navigate, filled with so much culture. We perused the tea menu which contained a selection of Thompson’s Family teas and eventually settled on a selection which we would have throughout the afternoon, starting with a beautiful jasmine dragon phoenix pearls and a fragrant high quality Earl Grey, both served in Jing glass tea pots. The cake stand was presented to us and it contained a generous selection of sandwiches, fruit and plain scones, along with a lovely range of pastries. The highlights for us were the turkey and stuffing sandwiches and the chocolate slice which melted in our mouths and made us so happy. An honourable mention however must go to the scones which were perfectly formed, slightly warm and went well with the raspberry preserve that they were presented with. We had stayed overnight at the Europa Hotel and at breakfast located a booklet that outlined the Hastings Group’s suppliers, who they try to source locally as much as possible. During our tea we were delighted to know that the teas were sourced from third generation Belfast tea blenders Ross and David Thompson, cream from the McDowell family who have been dairy farmers for over 100 years, and jam made in small batches by the Clarke family who grow their own fruit and source everything else that they are able to from their neighbours. 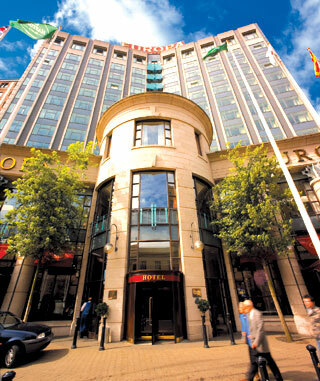 We adored our stay at the Europa, in part because Belfast is a wonderfully compact and fascinating city, but largely because everything from the comfortable furniture to the high quality afternoon tea were so well thought through and the friendly staff exceptional. 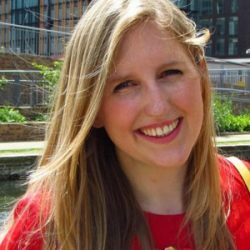 We’d like to thank Helen McCune who looked after us so well and made us feel like part of the Europa family. 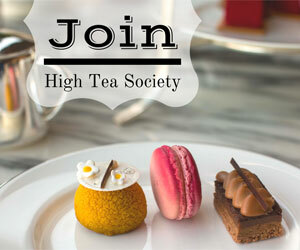 Belfast, your friendliness has definitely made the High Tea Society plan to return for more. As with all of the Hastings Group hotels, the food was delicious and of high quality, much of it sourced from local suppliers. Thompson Family Teas, a local Belfast tea company now on its third generation of tea blenders. 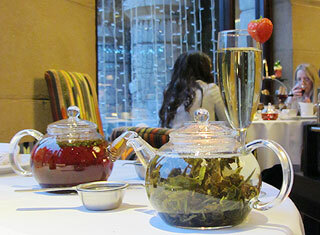 Villeroy and Boch Adriana China was used with the tea served in Jing glass tea pots. A pianist played modern and classical tunes. The Europa host a range of events throughout the year and are willing to accommodate special requests. 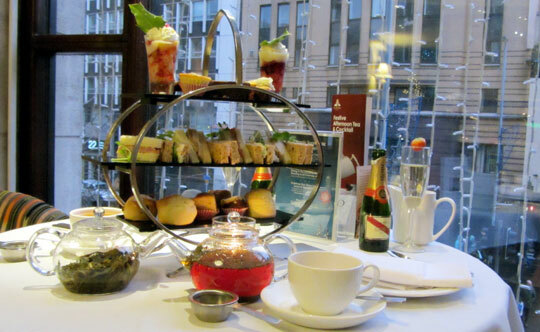 We very much enjoyed our afternoon tea at the Europa. The friendly staff treated us like family, they were knowledgeable and took pride in their service. The food was delicious and the tea was of great quality with a selection that contained something that would appeal to everyone. We had a wonderful time just before Christmas and would recommend the Europa as an afternoon tea venue that would be great over winter; however, we think that with the good afternoon light it would be enjoyable any time of year.